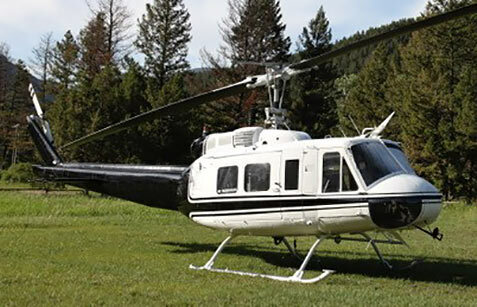 BELL UH-1H "HUEY" 15-SEAT HELICOPTER—COMPLETE! 1970 BELL UH-1H "Huey." This UH-1H is a "Super" model, with the –703 engine and composite rotorblades. TTSN: 8905 hrs. Please see full component times for this helicopter here. A truly outstanding aircraft. NO damage history. Great condition. Will be sold with a fresh Annual. • Outstanding for rescue, power-line operations, fire fighting, sling work, forest service, tours, etc. The Bell UH-1 is perhaps the best-known helicopter in the world. 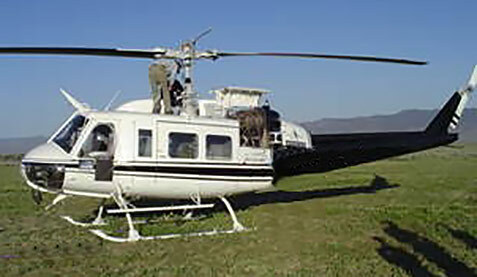 Made famous by its use in Vietnam, versions of the “Huey” remain in both military and civil service today. Designated HU-1 by the Army and H-40 by the Air Force the first Hueys flew in 1958. In 1962, the designations were changed to UH-1. By the mid-1960s Hueys could be found in every branch of the U.S. military and were entering the civil and foreign military markets. The early models of Hueys were found to be underpowered at high altitudes or in hot conditions. This resulted in the development of the larger and higher powered UH-1D in 1961. This model continued to suffer from limited power issues that often prevented them from hovering in the hot conditions that prevailed in Vietnam. An even more powerful engine was installed resulting in the UH-1H. Many D models were eventually upgraded to H standards. Over 5,000 D and H models were built and many remain in service. Pilot/Passengers: 1 pilot, 14 passengers; Length: 57 ft; height: 13.7 ft; gross weight: 9,500 lbs; main rotor diameter: 48 ft; engine: Honeywell T53-L-103 turboshaft; horsepower: 1,800; max. speed: 138 mph; cruise speed: 125 mph; fuel capacity: 265 gal. (aux. tank opt. ); range: 300+ miles; max. altitude: about 19,000 ft.